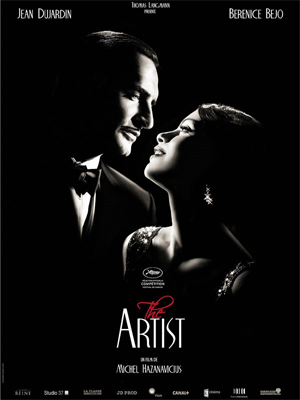 The 2011 French film, The Artist, which swept the Academy Awards last month, has been met with near-universal critical acclaim. Shot in black-and-white, this silent film (with music that echoes the mood of each scene, like the original silent films) tells a very lovely story that touches us at many different levels. The protagonist, George Valentin, is a silent film star of the 1920s who is at the height of his popularity. He has dandyish good looks, is a graceful dancer, and is a versatile actor, captivating audiences across genres. Greeting adoring fans outside a theatre, George by sheer luck bumps into, quite literally, an up-and-coming cute young dancer aptly named Peppy. George takes her under his wing and the two quickly begin a very charming friendship, which borders on but does not quite become romantic. Their friendship, however, becomes complicated as the film industry transitions from silent pictures into ‘talkie’ movies. Peppy’s career takes off with the rise of the talkies, while George’s swiftly wanes. Indeed, the entire story of The Artist is about how George copes with the changes in the movie business and the impact it has on his relationship with Peppy. But in a larger socioeconomic context, The Artist is about capitalism. It is about the process of ‘creative destruction’ that is inherent in free-market capitalism, as articulated by economist Joseph Schumpeter. Creative destruction, Schumpeter wrote, is what “keeps the capitalist engine in motion.” New markets “revolutionize the economic structure from within, incessantly destroying the old one, incessantly creating a new one.” It is the essential fact of capitalism, he said. So in this case, it is silent film that is being destroyed and modern film, with full audio, that is being created. George believes that sound will destroy the art of a film. But Al insists that people want to watch films where they can hear people talk. After all, as the owner of the studio, he’s just responding to the whims of the marketplace, as all business owners in a free-market economy must. Peppy, on the other hand, is a big hit in the talkies. Her face is everywhere and her success is, at least for right now, unbounded. In an interview she nonchalantly boasts, “Out with the old and in with the new, right? That’s life.” George overhears her comment and indignantly confronts her. Shortly after he falls into a deep depression, selling all his possessions for mere subsistence and booze. In fact, he is on the verge of suicide. Peppy feels terrible. She adores George and is deeply thankful for his huge role in her career. She pitches an idea to Al, her new boss, to incorporate George into the movie they’re shooting, threatening to walk out of the production if he doesn’t include him. Eventually it all comes together and George and Peppy are seen dancing together in a take. Thanks to the compassion of Peppy, George got back on his feet in Hollywood. The impulses of creative destruction in capitalist societies are what compel the advancement of civilization. The destruction of the silent film industry, for instance, led directly to the creation of the Golden Age of Hollywood, bringing to the screen such geniuses as Alfred Hitchcock and John Ford, Jimmy Stewart and Humphrey Bogart, and Ingrid Bergman and Katharine Hepburn. While our quest for growth and development definitely should not be impinged upon, we mustn’t forget the human costs. We mustn’t forget that there are Georges out there, heartbroken by the loss of their jobs. 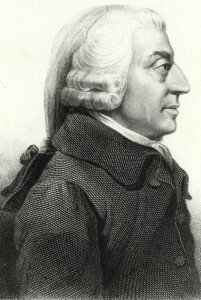 Compassion, as that other great articulator of capitalism, Adam Smith, explained, “is the emotion which we feel for the misery of others.” And it is essential, he concluded, for a free and virtuous capitalist society. The story of George and Peppy poignantly illustrates that individual citizens – free, voluntary, and compassionate – can help one another adapt to the times. Very well done Nathan – superbly written as always. And the website look and feel is great – you are getting pretty handy with the placement of images and keeping the pages attractive and clean. I look forward to reading more! Thanks, sir! I’m looking to rotate the pictures… so hopefully it will be a little more interesting than the same old thing.